The Future is Fired Up with Theatre. 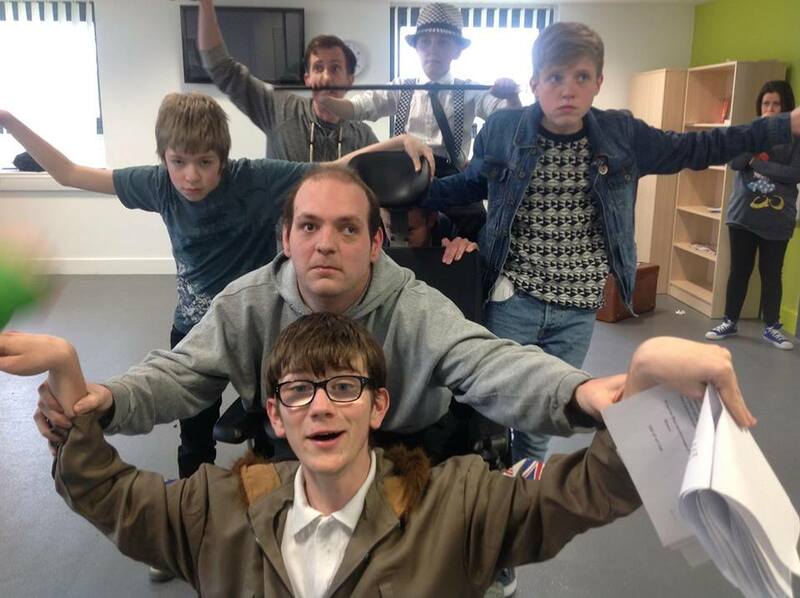 After two successful sell out performances, the dust of Quadrophenia has settled back onto the beaches of Brighton, Clacton, Margate….. Leaving a very motivated cast eager to do more and to explore new themes and theatrical experiences. Fired Up Theatre with Artistic Director Simon Quinn has developed over the past seven years to produce many successful shows and workshops, including the three with which I have been involved. The Wall, Colin Grazier Enigma and now Quadrophenia. Simon and I have been talking about what to do next with an enthusiastic cast and crew wanting us to provide more opportunities to produce some gritty, challenging productions which will stretch the actors, revisiting and revitalising the traditional, innovating and developing new approaches. At the same time as entertaining and provoking thoughts. I have joined Simon at Fired Up Theatre as Joint Artistic Director to develop a range of productions in all arena’s of dramatic arts, Theatre, Film, Radio, Dance, Music and Literature. We will be developing our own projects as well as seeking commissions that provide for excellence in all aspects of what we choose to do. We believe that there is a real opportunity to take our productions on tour to capture the minds of wider audiences to the themes of the FUTure. 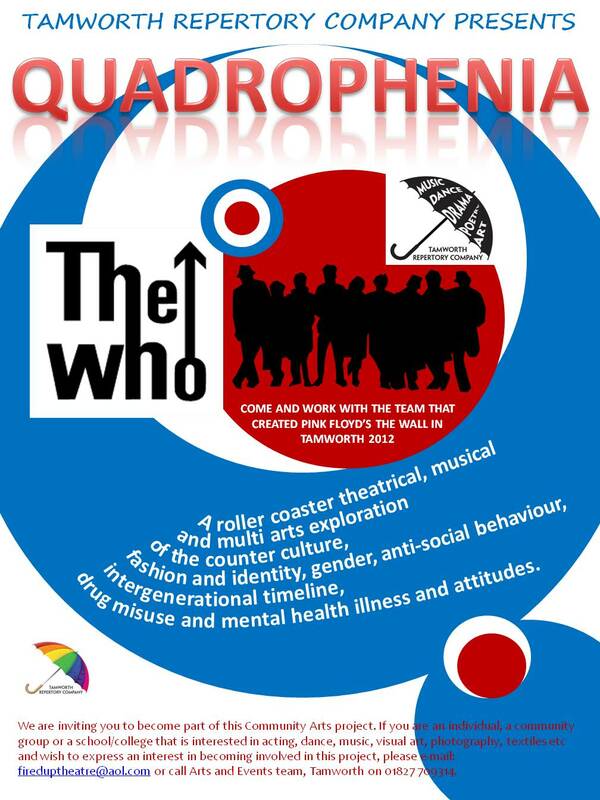 Not to let Quadrophenia pass without a comment or two from the audience. IT, IT WAS VERY CLEVERLY DONE, AND THE STORY CAME ACROSS REALLY WELL. A very big thank you to everyone who came along and supported the show. From me,” Yet another wonderful experience to work with a bright, energetic and dynamic cast and crew to bring the realisation of this wonderful exploration of the concept to the stage.” I loved every minute of it. Up and Coming Workshops and Readings. 20th June – Workshop – Entrust – Reading Poetry – Teachers Conference. THE BBC PRESENTS THE SNOW AWARDS. One Man Army – Kassidy. Snow and the freeze slows the pace of all things. Not that is anything different for me at the moment, but whilst it perhaps brought the rest of you to the pace that I am forced to live, the cold snap took me to my bed with a head full of cold and flu. But that is behind me with the turn of the new week. 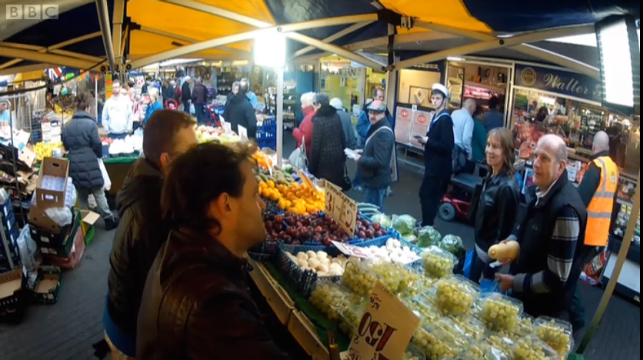 ANOTHER APPEARANCE ON THE BBC. Saturday Night saw my fleeting appearance on prime time BBC telly in Britain’s Brightest, for those who missed it here is a still captured from the BBC Iplayer. Fantastic news and massive congratulations this week go to the Leicester Poet Jayne Stanton whose poem Sin έ, was one of ten Highly Commended by judge Thomas McCarthy, in the Gregory O’Donoghue International Poetry Prize 2013. Jayne is a regular reader at poetry events in the Midlands and last year represented Coventry as part of the Coventry Cork Literature exchange. Jayne’s Blog can be found at: http://jaynestantonpoetry.wordpress.com/ always a good insightful read. I want to continue to promote a few events that are taking place over the coming weeks and involve some of my good friends. SHARE THE WORD – WARWICKSHIRE LIBRARIES BOOK FESTIVAL. 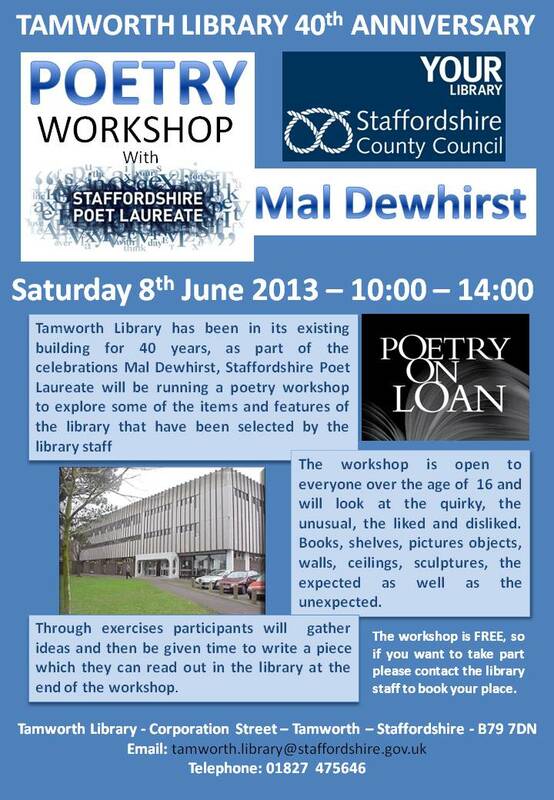 This has been running since October 2012 and runs through to March with events in Libraries across the county. I have been involved with Writers Group at Coleshill Library, but there are lots of other events taking place in the coming weeks, with several author events. 26th January – Tamworth Assembly Rooms sees the return of Floydian Slip who provided the excellent sound for our production of the Wall last June. This gig promises and evening of Pink Floyd beyond the Wall and includes the complete Dark Side of the Moon album. Tickets are available from Tamworth Information Centre. 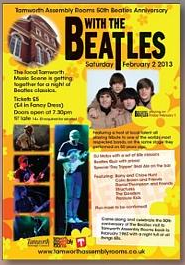 1st February sees the 50th Aniversary of The Beatles performance at the Tamworth Assembly rooms and to mark this event a weekend of Beatles themed performances. The 1st Feb sees the Counterfeit Beatles playing on the very same stage, followed by on 2nd Feb Tamworth Music Scene does the Beatles, which includes a performance from Poetry Trail Singer and Guitarist Barry Hunt with his daughter Chloe, along with performances from Colin Brown and Friends, Daniel Thompson and Friends, Structures, The Ganders and Pressure Kids plus DJ Malys with a set of 60’s classics. The performers will be delivering their takes on Beatles Classics. Promises to be another great night of music. 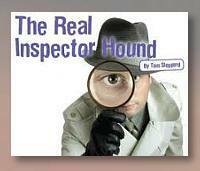 THE REAL INSPECTOR HOUND. – TAMWORTH ASSEMBLY ROOMS – 7th/8th Feb. 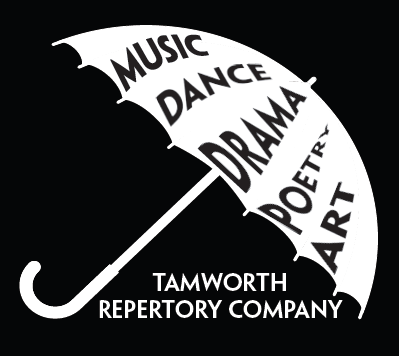 The Tamworth Theatre Company see their first production of Tom Stoppard’s The Real Inspector Hound at the Tamworth Assembly Rooms on the Thursday and Friday 7th and 8th February. The Real Inspector Hound is a short one act play, The plot follows two theatre critics named Moon and Birdboot who are watching a ludicrous set up of a country house murder mystery in the style of a who dunnit. Fired Up Theatre and Tamworth Repertory Theatre are to stage a new version of Quadrophenia. 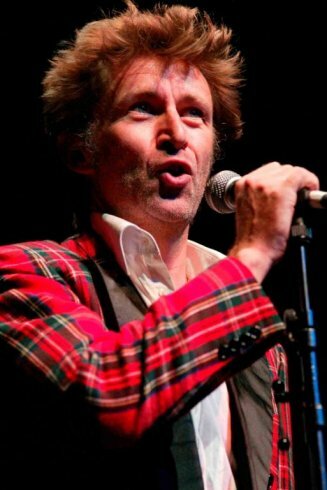 Simon Quinn the Director has received permission from Pete Townsend of the Who to stage a new scripted version which delivers a roller coaster theatrical, musical and multi arts exploration of the counter culture, fashion and identity, gender, anti-social behaviour, intergenerational timeline, drug misuse and mental health illness and attitudes. 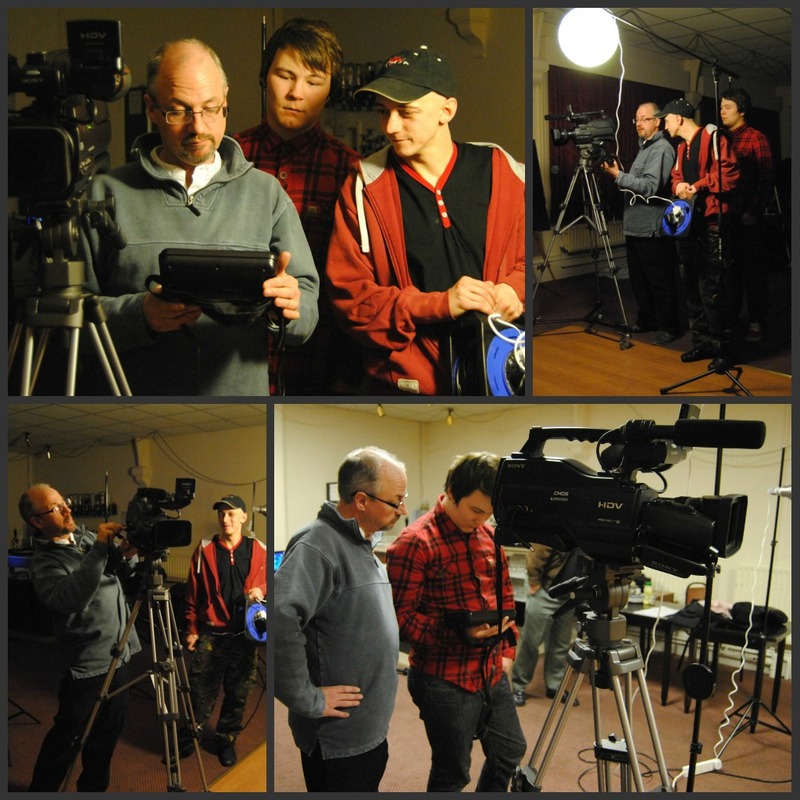 The project launch took place on Saturday 12th January and saw many local people come along to sign up to take part in the performance, from actors, dancers to backstage roles. An excellent start, which will develop over the coming weeks. We are still inviting you to become part of this Community Arts project. If you are an individual, a community group or a school/college that is interested in acting, dance, music, visual art, photography, textiles etc and wish to express an interest in becoming involved in this project, please e-mail: fireduptheatre@aol.com or call Arts and Events team, Tamworth on 01827 709314. 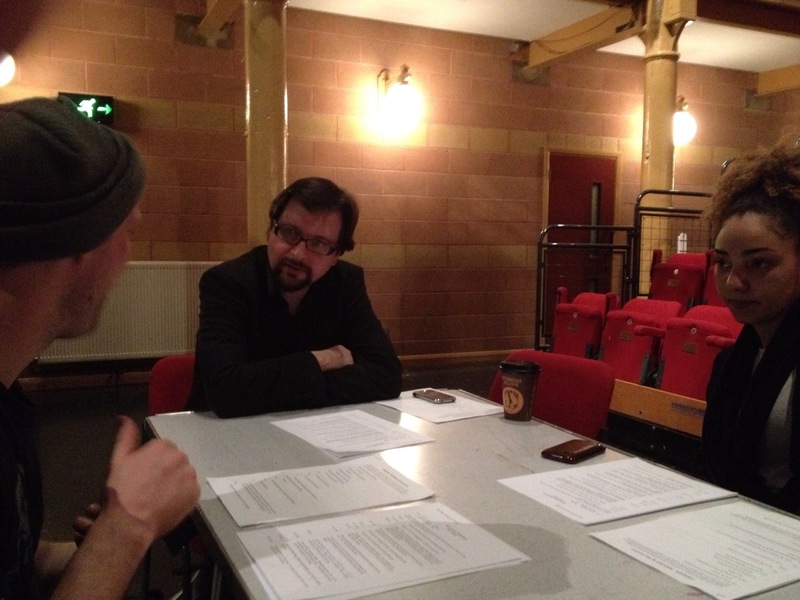 15th Feb – Spoken Worlds – Burton on Trent. 19th Feb – Poetry Alight – Spark Café – Lichfield. THE DARKSIDE OF A DAY IN THE LIFE OF JIMMY COOPER. Rodrigo y Gabriela – Live Manchester and Dublin. This week I want to promote a few events that are taking place over the coming weeks and involve some of my good friends. 1st February sees the 50th Anniversary of The Beatles performance at the Tamworth Assembly rooms and to mark this event a weekend of Beatles themed performances. 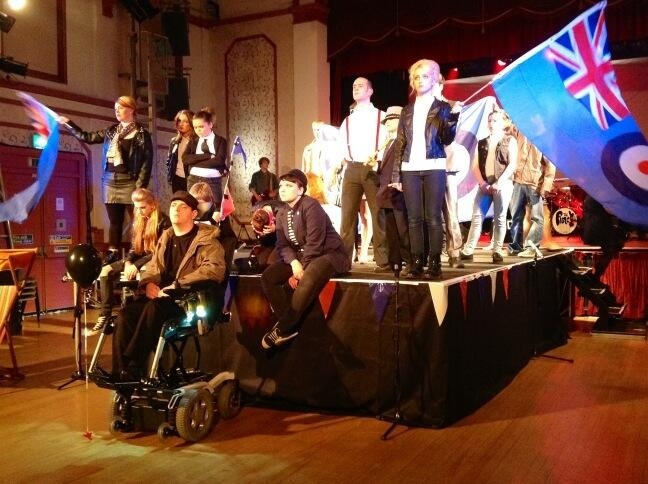 Tamworth Repertory Theatre is to stage a new version of Quadrophenia. The project launch is on Saturday 12th January between 11:00 and 3:00pm at the Assembly Rooms. We are inviting you to become part of this Community Arts project. If you are an individual, a community group or a school/college that is interested in acting, dance, music, visual art, photography, textiles etc and wish to express an interest in becoming involved in this project, please e-mail: fireduptheatre@aol.com or call Arts and Events team, Tamworth on 01827 709314. 18th Jan – Spoken Worlds – Burton-on-Trent.